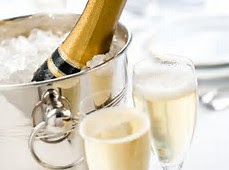 There's nothing nicer in the summer than a glass of bubbly, whether it's the genuine article - a bottle of French Champagne or one of its lesser friends, a Spanish Cava or an Italian Prosecco. But how do you keep it cool on a hot day like today? Apparently, we should not put our bubbly in the fridge as soon as we return from the supermarket or the wine store. 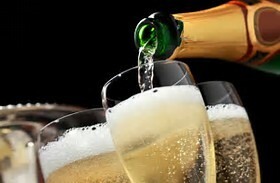 Putting champagne in the fridge for too long can change the taste and the aroma. That's according to an expert from one of the best champagne producer's in the world, Moet & Chandon. While champagne and fizzy wines are fine in the fridge for up to four days, any longer can affect the quality, says the wine quality manager at Moet. I have a wine cooler, which I'm told is a better storage place for your sparkling wines, than the fridge, because if it sits there for weeks then the cork dries out due to the lack of humidity. As corks dry out, the seal between the bottle and the cork loosens and the champagne will oxidize faster, thereby changing the wine's aromas. That's why a cooler or another cool place, away from light and with a consistent temperature is ideal. In my wine cooler I can control the temperature exactly. Further tips after cracking open that fizz and popping that cork, include placing the bottle in a bucket filled with ice and one-third water. This works best in keeping the wine chilled while you drink it. And as for maintaining the cold temperature for as long as possible once you've poured a glass, then hold your glass by the stem to avoid warimg it up with your hand. Also, when serving, you should only fill your glass about one-third of the full way - otherwise the champagne can warm too quickly. My thanks to Marie-Christine Osselin of Moet & Chandon for her advice!